You often find several of them in one street among Baroque style palazzi of aristocratic families and antique residences. 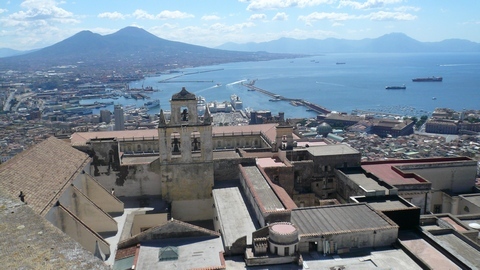 Naples most important church is the San Gennaro (St. Januarius) Cathedral, where each year the famous Miracle Blood ceremony takes place. The Gothic churches, San Lorenzo Maggiore and San Domenico Maggiore, as well as the Baroque church, Gesù Nuovo, are worth a visit. The San Severo Chapel is fascinating because of its mysterious anatomic machines, two skeletons that are inexplicably covered with a system of fossil veins and arteries. In addition, you can see beautiful Baroque sculptures from the 17th and 18th century. with its columns, little benches, and walls that are wainscoted with beautiful colourful majolica. Vis-à-vis on Via San Sebastiano, you can find music stores that, because of their vicinity to the conservatory, still sell mandolins. Nearby is the street of the booksellers, Port’ Alba, where you can buy delicious pizza at the street counter of the pizzeria of the same name and eat it right away. Under the city, which stands on tufa, is a labyrinth of caves some 80 km long. 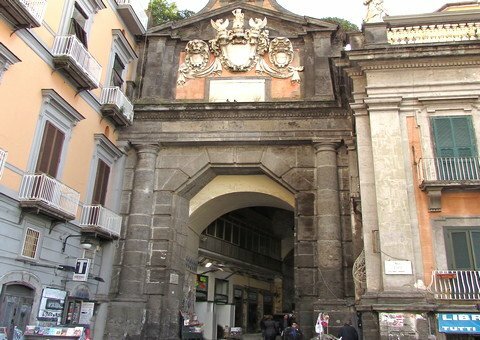 The gate to the underworld of Naples is tucked away at the Piazza San Gaetano. The guided tours take 1.5 hours. The historic district offers numerous places to do some shopping, above all, for crafts, antiques, and souvenirs. You should definitely visit the Via San Gregorio Armeno, the famous street of the nativity scene makers (neapolitan cribs, in italian presepe napoletano). During Christmas time, more than half a million tourists come to see the shops with the original miniature figurines. However, they are open all year round and you can take your time and have a look around after New Year’s. 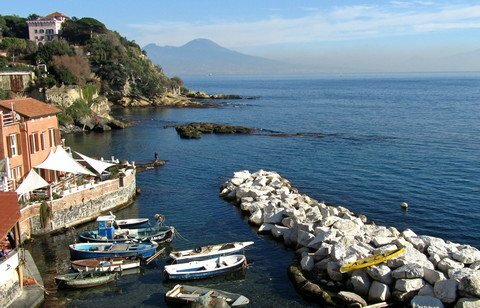 The best way to see Naples’s heart is on foot! By underground (subway) “Metro Line 1 – Piazza Dante station” or by Bus (Piazza Dante bus stop) , then walk direction Port’Alba/Piazza Bellini.